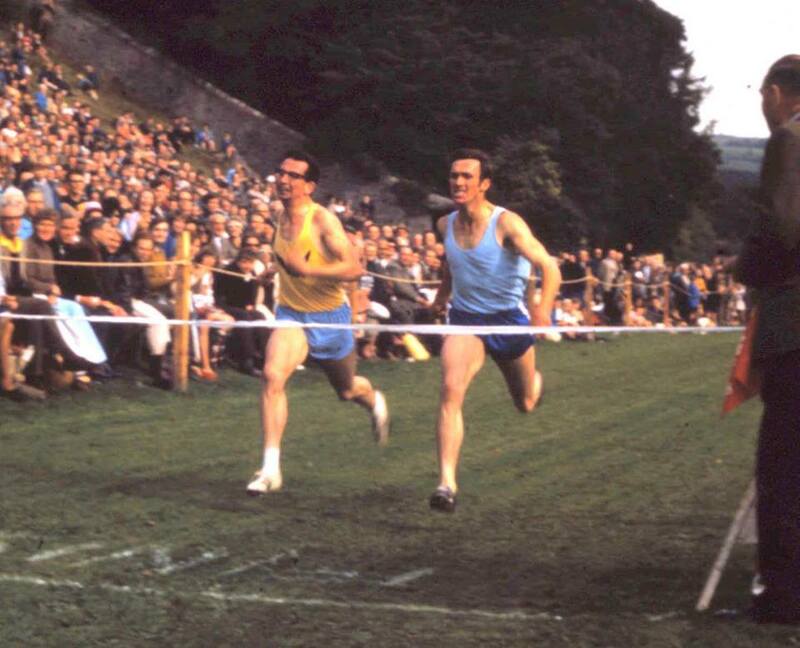 Although almost every historical look at distance running in Scotland concentrates on the amateur scene with the fast tracks, international competition and the major Games (Commonwealth, European, Olympic), there was another thriving side to the sport. The Scottish Games circuit was well supplied with talented competitors, almost always had big crowds in attendance and had an honourable history of its own. The professional circuit run by the SGA produced good quality athletes on what were usually sub-standard tracks in public parks or on farmland and the standard of man-against-man racing was often of the highest quality. The two sports had much in common – they had their own national governing bodies (the SAAA for one group, the SGA for the other), they had good strong grass-roots organisation, recognised qualified time-keepers and officials and strict rules governing eligibility. However the professional scene, because of local tradition stretching back at times for centuries, generally had bigger crowds on a week by week basis. 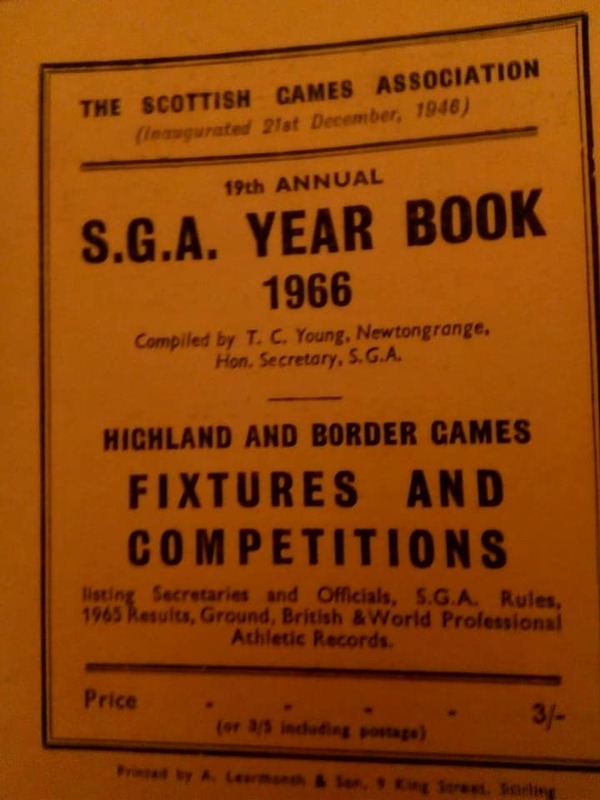 The extreme local aspect of that circuit however led to a proliferation of ‘Scottish’ records – one meeting would have the Scottish 80 yards championship held there, another the Scottish 90 yards, somewhere else the Scottish 120 and so on. The amateur runners had the international dimension that was lacking on the pro circuit: apart from the Games mentioned above, there were many big show piece meetings – the British Airways Games, the Coca Cola Meeting, etc. There were often several Scots taking part in them but no pro, however good, could get that kind of competition. The two best known professional meetings are probably the Braemar Games, because of the Royal Family’s interest and attendance, and the New Year’s Meeting in Edinburgh, because of the history of the Powderhall Sprint but there are Games held every year in all parts of Scotland – the Fife circuit (Thornton, Ceres, etc) is well known, the West Highland series from Balloch via Luss and Inveraray to Oban and the Islands, the Borders of course have the Border Sports meetings such as Kelso, Innerleithen and Jedburgh, there are also many meetings for professionals in the North of England (Oxton, Grasmere) which are well attended by athletes from Scotland. 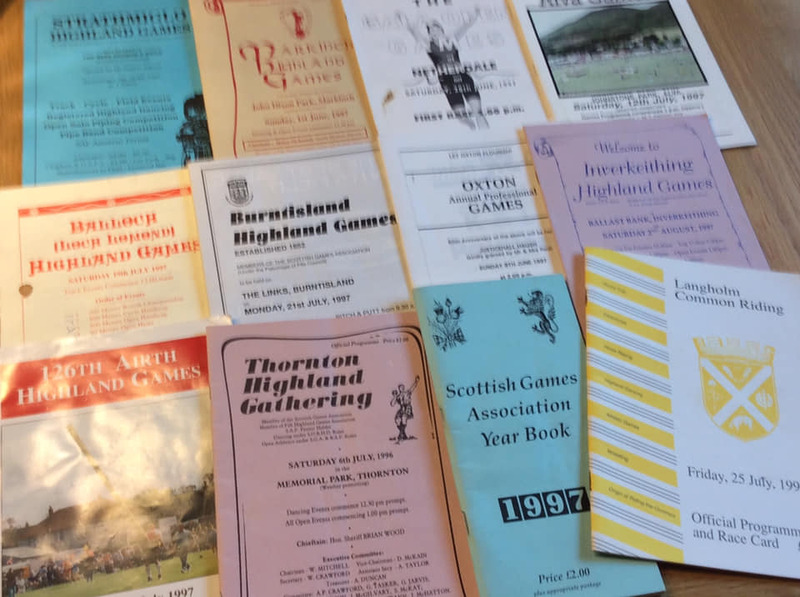 The biggest Games on the amateur side were at Cowal, said to be the biggest gathering in Scotland, and Strathallan, one of the very oldest in the country, with more at Bute, Dunblane and others which stretched the ‘highland’ tag a bit at Kirkintilloch, Milngavie and Shotts. .Then there was the money … We have all heard the stories of athletes banned for winning sixpence at a local meeting when they were children, the true story of George McNeill’s ban from athletics and so on, but there was always money in the sport. The poster above was put up on the Facebook page called ‘Memiours of Pro Athletics’. 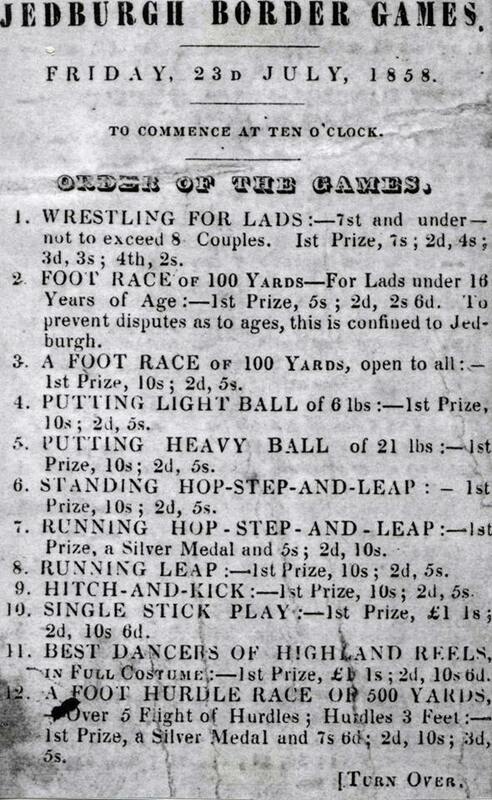 From 1858 it is interesting for many reasons but the prizes for Lads under 16 in a range of events at 7 shillings, 5 shillings was a lot of money. “In 1963, he won the biggest event on the British professional running circuit, the Powderhall. I ask him if he remembers the race. “I remember every race.” He thought he came up too quickly, always a mistake, but knew he had them by the 90-yard mark. The average working man’s annual wage in Scotland was then £700. He won £250. He had £50 on himself at 10 to 1. His stable won £10,000 in total. The bookies had to hand out notes saying they’d pay later. Betting on yourself was also part of the game. “Oh, yes!” he says.” Nothing has changed – The cutting below is fairly up to date. Instead of money, the amateur athletes won such prizes as rose bowls, fire screens, rugs, casserole sets, duffle bags and other usually useful objects. If you were good enough to be invited to a meeting and it was big enough there were expenses on offer but they were usually limited. The biggest was Cowal where, in the 60’s and 70’s a team in the two mile team race could claim £5 in total (ie 25 shillings each) and a ticket for the tea tent. The truth is that the money on the pro side was (a) never as good generally as was supposed; and (b) very few were in it for the money anyway. There were many ex-amateurs who thought it was easy money and in the twilight of their career came north. For instance, Gordon Pirie was a marvellous runner who renounced the amateur code and ran in professional handicap races without any notable success. eg he ran at Jedburgh where he was defeated by Jim Brotherstone. Even Scotland’s Ian McCafferty ran as a professional without much success at the end of his own running career. The money wasn’t what they thought, nor was it easily come by. “After the Olympics Ewell lost his amateur status for accepting gifts from his fans, but he continued to compete in Australia and New Zealand as a professional. 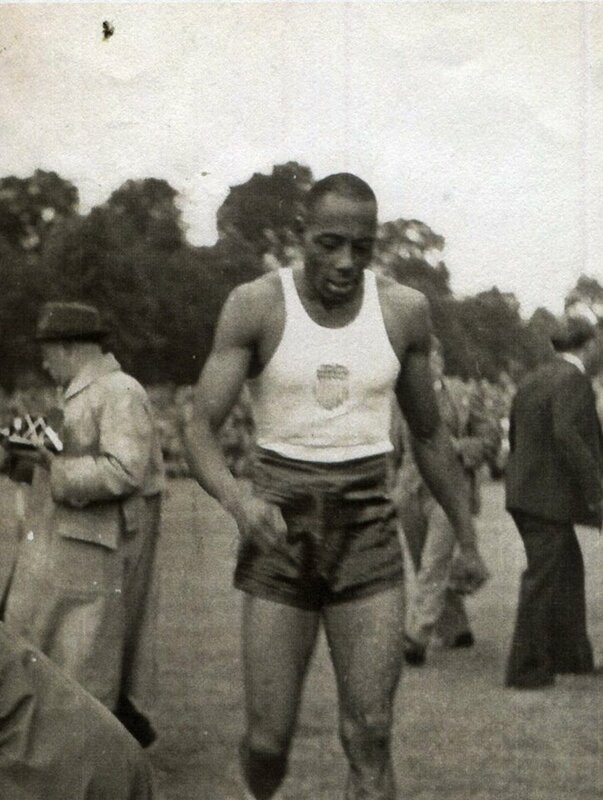 He also took part in the Scottish Border games circuit during the summer of 1950. He lived most of those weeks in the town of Bathgate. 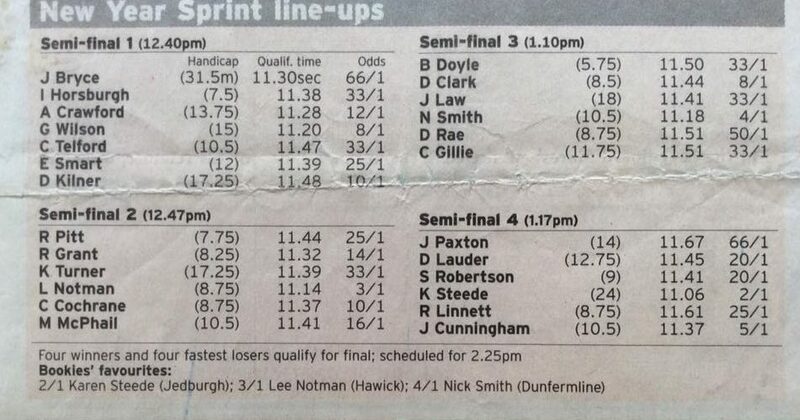 He won one of the most prestigious sprints on the Border Games circuit at Jedburgh. Running off scratch over 120 yards he ran a time of 11.37 secs. He also took part in a special invitation race in August that same year to mark his time in Scotland (run as a handicap race) over 120 yards at the famous Powderhall venue. Ewell from the scratch mark lost narrowly to Albert C Charles (off 12.5 yds).”. In 1972 another American sprinter, Tommie Smith, 200m gold medal winner at the Los Angeles Olympics and part of the Black Power salute on the podium, was in Britain and running as a pro. He raced at Wakefield and was invited by the runners to run at Jedburgh; the runners wanted him there, the spectators wanted him there but the administrators of the Games decided that his entry was not received in time. It had to be in two weeks before the meeting and no exception could be made for an athlete no matter his pedigree. It is more often the case that the officials in the amateur ranks were accused of this kind of thing. English ex-amateur internationalists are of course frequent competitors at the Games – Alan Simpson and Geoff Capes come to mind in that respect. The English throwers who took part included John Savidge, Arthur Rowe (who had many tremendous battles with Bill Anderson) and Geoff Capes. This page on the website will look some various aspects of the professional side of the sport. There will be profiles of athletes and others connected with it as well as some information about the various meetings.